40 Under 40, now in it’s sixth year, has recognized a network of 240 of the most powerful and elite young professionals in southeast Michigan. This year, two events are scheduled to bring together current and past 40 Under 40 honorees before the 6th induction ceremony on April 20th at The International Banquet Center from 6pm-9pm. 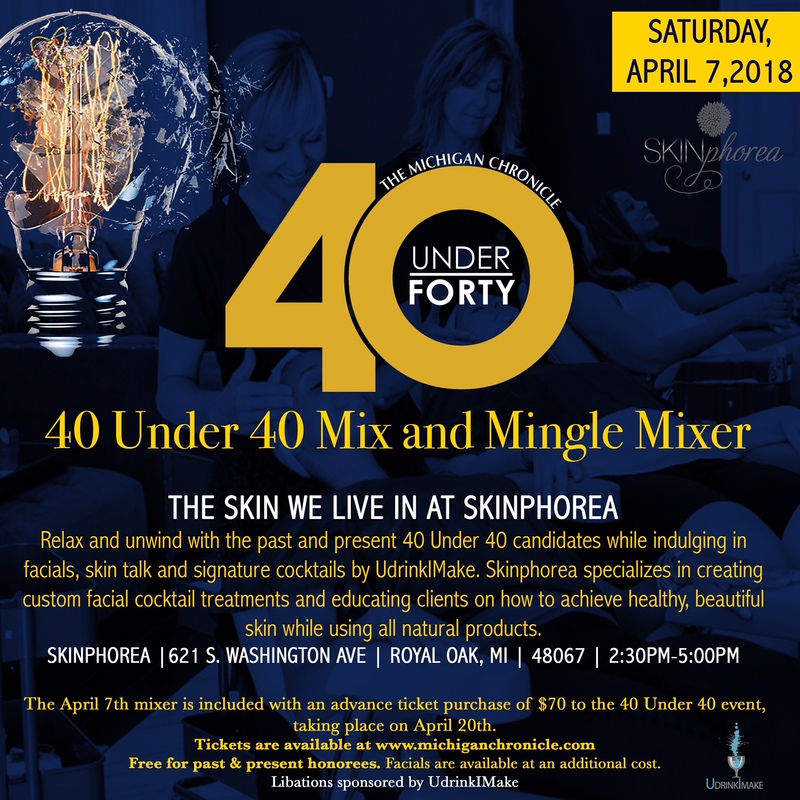 The first networking event, “The Skin We Live In” will take place at Skinphorea, Saturday, April 7, from 2:30pm-5pm. Skincare is a huge part of staying healthy and looking youthful. The discussion will educate both men and women on effective ways to look their best for years to come, while boarding their network. Light refreshments provided by FireandIce Catering and a signature drink, “Under 40” will be served by UDrinkIMake. 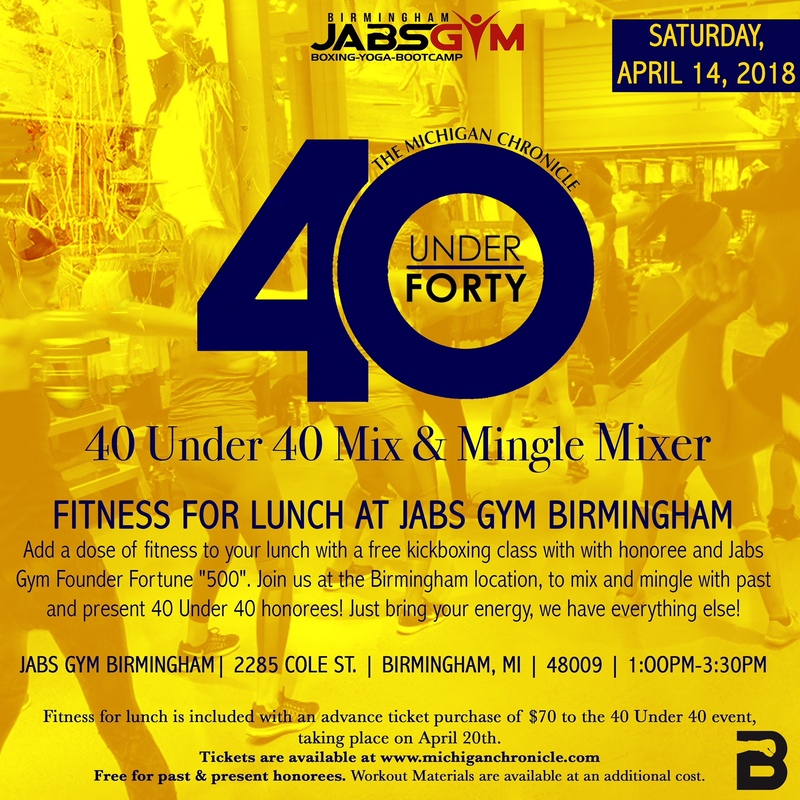 The second networking opportunity, Fitness for Lunch is a free kickboxing class, sponsored by Jabs Gym Birmingham, instructed by owner Fortune “500” a current 40 Under 40 honoree is scheduled for Saturday, April 14th, from 1pm-3:30pm. Both events are free for past and current 40 Under 40 honorees and ticket holders for the April 20th ceremony. Additional fees may apply for facials and workout gear.